An independent academy built on 40 years of hospitality experience. Designed and developed for those who want to learn the art of making great coffee. 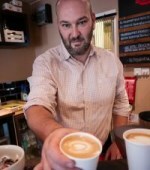 Gordon Howell A Northern barista champion, UKBC sensory judge and owner of the award-winning Harlequin and The Attic. 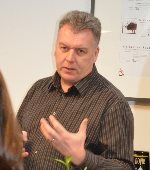 Jon Skinner A pioneer of coffee training in the UK as the longest established barista trainer and a former technical UKBC judge. 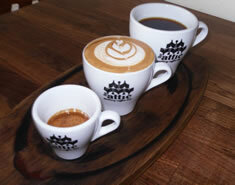 LOCATION – The Northern Academy of Coffee based in the historic city of York has been created to give the North a centre of coffee training excellence. EXPERENCE – Learn form the those who train the trainers. Gordon and Jon, both pioneers in the UK & World speciality industry bring an unrivalled set of skills and knowledge that spans over 40 years. They have pulled on this wealth of experience to design a series of courses that will help you become a better barista (SCA accreditation optional). Option 1 – ADVANCED & DYNAMIC. A unique opportunity to be trained by one of the world’s leading baristas and work with Gordon on a one to one basis. Option 2 – BUILT FOR BUSINESS. Learn from Jon, the trainer’s trainer and build a group session for your business (2-6 people) mainly aimed at SCA foundation Barista and Brewers and the introduction of coffee. TAILORED FOR YOU. Both options can be designed with you to meet your personal requirements and can cover any of the SCA BREWING or BARISTA models. Availability is year round Monday – Thursday and can be 1-4 days in duration. Our commitment to excellence will ensure that, as an individual or business, your investment with us is a wise one. There are no upcoming course dates.